YourWelcome enables operators to automate guest management. 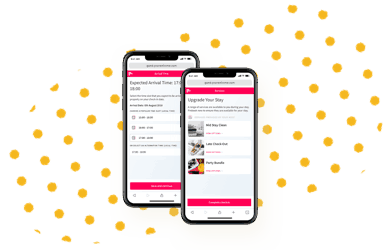 From booking to check out, YourWelcome’s suite of products streamlines guest communication, up-selling and brand interaction. Ensure you have all the guest contact details and ID prior to arrival. Access up-to date guest arrival times and up-sell pre-arrival services. Distributing video property guides via YourWelcome tablets materially reduces guest questions and call outs relating to the property. Communicate with your guests on one channel and avoid phone calls and WhatsApp messages. YourWelcome chat messenger aggregates all communication in one place. Promote leaving a review to your guests through YourWelcome tablets and increase conversion rate from booking to review. Short stay operators are continuously looking to automate guest management to reduce operating costs. YourWelcome Advance enables operators to remotely manage the guest check-in process and effectively up-sell services such as early check in to guests. 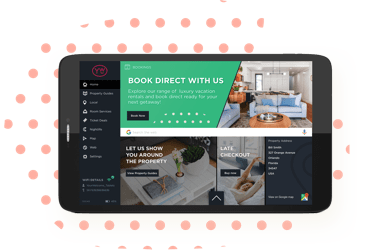 YourWelcome Tablets provide a best class in-property guest management tool that enables owners to reduce guest call outs, questions and problems, alongside being a hands-off transactional tool that can increase revenue per booking.